Foregoing arbitration, the Rangers agreed to terms with Mika Zibanejad Monday on a new contract; five years at an AAV of $5.3 million per season. Whew. Next up for the Blueshirts, solving the search for a 4th center. At the end of the 2016-17 season, the team’s centers were Derek Stepan, Zibanejad, Kevin Hayes, and Oscar Lindberg. Stepan was traded to Arizona, and Lindberg was lost to the Vegas Golden Knights in the Expansion Draft [an event so important it gets capital letters]. David Desharnais was signed as a modestly-priced free agent center, leaving the Rangers seemingly one center short. Zibanejad’s contract seems to indicate that he will be the 1C [they’re paying him 1st line center bucks], and Hayes seemingly moves up to the 2nd line. But then the mystery/fun begins. Is Desharnais the 3rd line center? Will J.T. Miller get moved to center? Will Boo Nieves start the year on the team, as 4th-line center? What about rookie Lias Andersson? Too soon to think he could start the season on the big team? 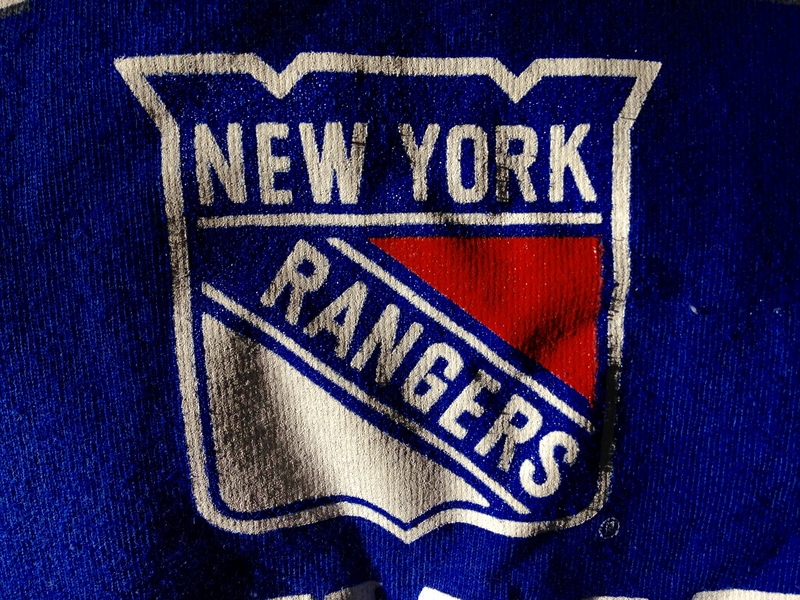 Or, with some cap space, will the Blueshirts pull off another trade before the season begins? A trade for a center would probably require Nick Holden going in the other direction, or a buyout of Marc Staal. The team appears to have one too many defensemen [Ryan McDonagh, Kevin Shattenkirk, Brady Skjei, Brandon Smith, Staal, Holden, Anthony deAngelo, Alexei Bereglazov], so a defenseman-for-a-center trade is a possibility. But injuries happen, so having an 8th defenseman right now is not a bad thing. I think a Staal buyout is unlikely, and a trade for a center [i.e. Toronto’s Tyler Bozak] would have to have the perfect terms for the Rangers to pull off. I think Nieves starts the season as 4C, and Miller gets moved over or a trade gets pulled if the team struggles offensively in the opening month. While the Rangers have a good problem, defensively [I feel a lot better about our defense than I did in May], their problem putting four quality forward lines out there on October 5th need to be solved. The Rangers signed forward Jesper Fast to a three-year deal worth a reported $1.85 million a season. The 25-year-old Fast scored six goals and 15 assists in 68 games last season as the center on the team’s 4th line. He added three goals and three assists in 12 post-season games. Fast underwent hip surgery June 5th. He may miss the first week or two of the regular season, which begins Friday October 6th vs Colorado at The Garden. The Rangers announced the signing of center David Desharnais Tuesday; the free agent center played 49 games with Montreal and Edmonton in 2016-17, and 13 playoff games for the Oilers. Terms of the deal were said to be one year, at $1 million. The 30year-old Desharnais is expected to compete for the 4th center spot, filling the lineup slot that opened when Oscar Lindberg was taken by the Vegas Golden Knights in the expansion draft last month. Desharnais spent parts of eight seasons with the Canadiens before being traded to the Oilers midway through the 2016-17 season. The Rangers made two big moves in the opening hours of the NHL’s free agent signing period, agreeing to terms with defenseman Kevin Shattenkirk and goalie Ondrej Pavelec. 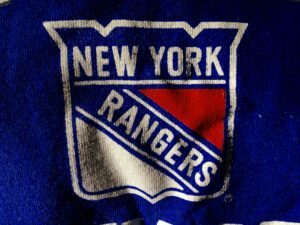 The moves fill two big roster holes, following last week’s buyout of Dan Girardi‘s contract and the trading of Antti Raanta. According to various sources, Shattenkirk – the biggest fish in this summer’s free agent waters – and the Blueshirts agreed to a 4-year deal worth $6.65 million a season, allegedly less money than other teams offered him. He tallied 13 goals and 43 assists in 80 games with the Blues and Capitals. Pavelec , a 30-year-old with 379 NHL games played, agreed to a one-year deal worth $1.3 million. The Rangers still have some line-up holes, especially at the center position, following the trade of Derek Stepan and the loss of Oscar Lindberg in the expansion draft.